This week at Pals Paper Arts, we have a color challenge for you to try; Real Red, Soft Sky and Whisper White or similar colors. For this challenge, I chose to substitute Coastal Cabana for Soft Sky so it would match my Fresh Prints DSP Paper Stack from the new Occasions Catalog. 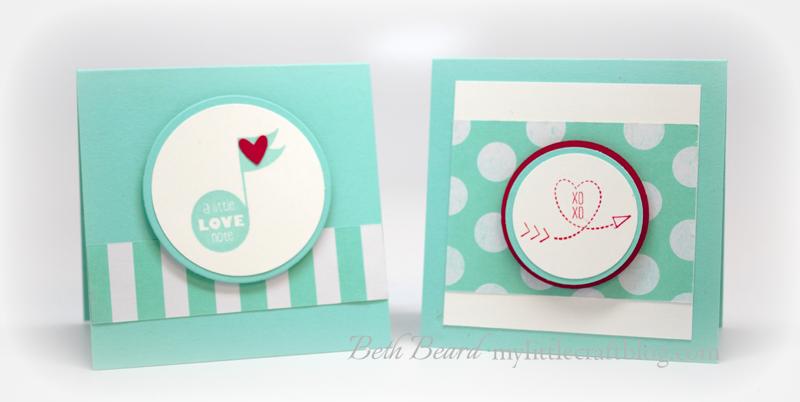 I made six little 3" x 3" valentines, matching pocket envelopes and a sweet little box to hold them. If you would like to watch the video to make this box, please click here. If you would like to watch the video to make the *Pocket Envelope, please click here. 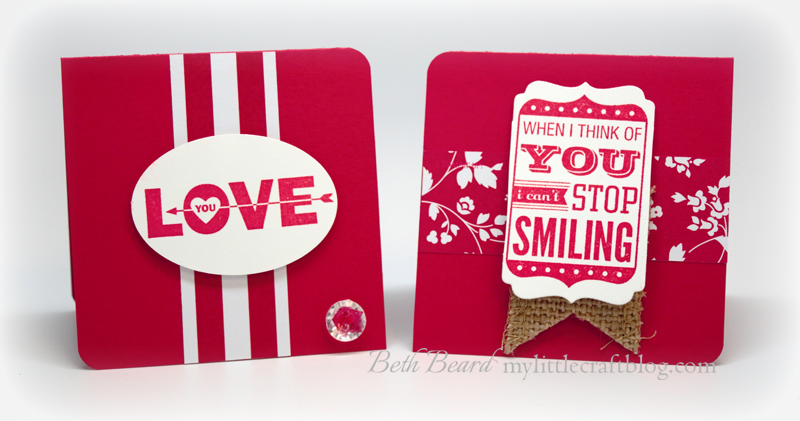 *Note: the DSP for these envelopes measures 4-1/4" x 6-1/4"
On the 6-1/4" side, score at 3-1/8"
Need the perfect Valentine's Day sentiment? You'll find it in the Love You to the Moon Set! Includes 7 stamps. Coordinates with Chalk Talk Framelits Dies. This limited-time set is only available from January 3 through May 31, 2014, so order yours today! Oh this is just to cute!!! Aren't you just a little creative machine!!! Great job!!! Just adorable!!! 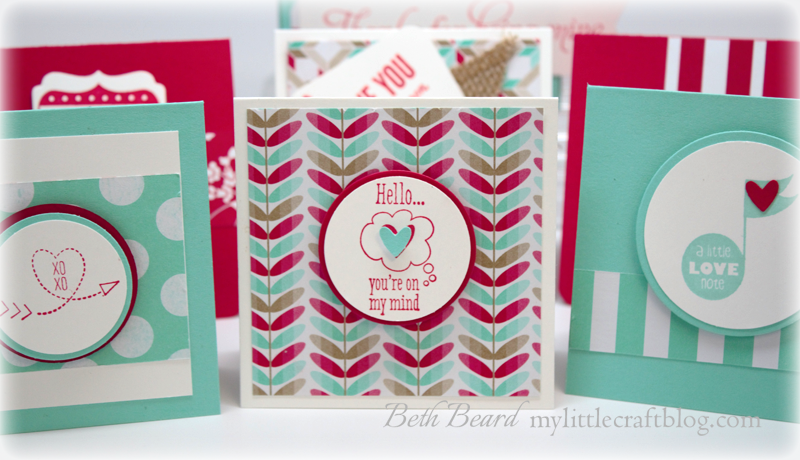 Beth, this is such a beautiful set of cards and the box is the best! 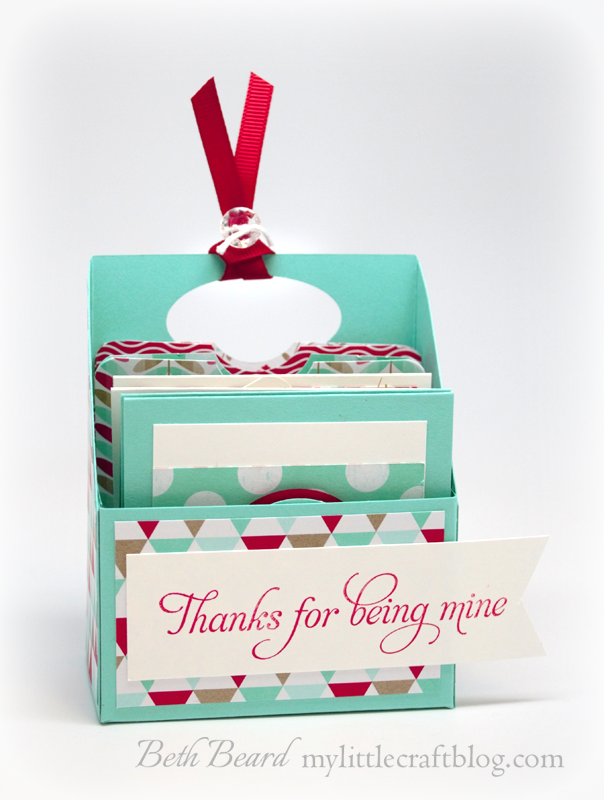 These are beautiful and love the box to hold everything....lovely project and thanks for the video showing how to make the box....love your color selection!